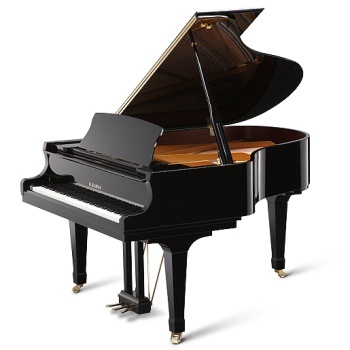 The GX-2 BLAK combines the stately presence of a classic grand with an exquisite clarity of tone unmatched by other pianos in its class. With a rich history of international acclaim, the GX-2 is the popular choice for homes, schools, churches and teaching studios. Length: 5'11"
Finish Choices: Ebony Satin, Ebony Polish, Snow White Polish, Oak Satin, Dark Oak Satin, Cherry, Dark Walnut Satin, Brown Sapeli Mahogany Polish, Dark Walnut Polish, Rosewood Polish.